Process in food processor until desired consistency. I put the extra into 2 oz. 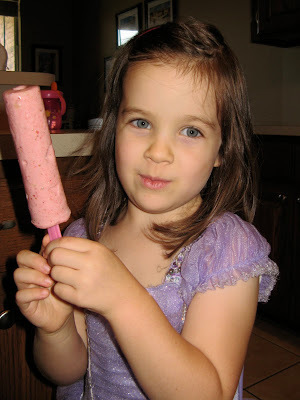 containers and made popsicles. They were a hit! Here's one of my princesses enjoying her first of two popsicles!